For this post i am feature a friend of mine :) and She is wearing an older outfit from Sugar and Spice (no longer sold) and shoes are from Rainbow kitty (No longer sold). What i am wearing is a super cute outfit from Wishes coming to this months Ninety Nine event. My shoes are from Breaux Jr. in Shop Hop event join the group inworld to get more information and for the HUD Shop Hop is now open until May 13th items are 100l or less. Nails and ring i am wearing is from Polished also coming to Ninety Nine event, starting May 9th. The pose i am using is from Snap it, a new pose store on the grid that is a combine store of Dollface & Say Cheese, also at ninety nine this month. 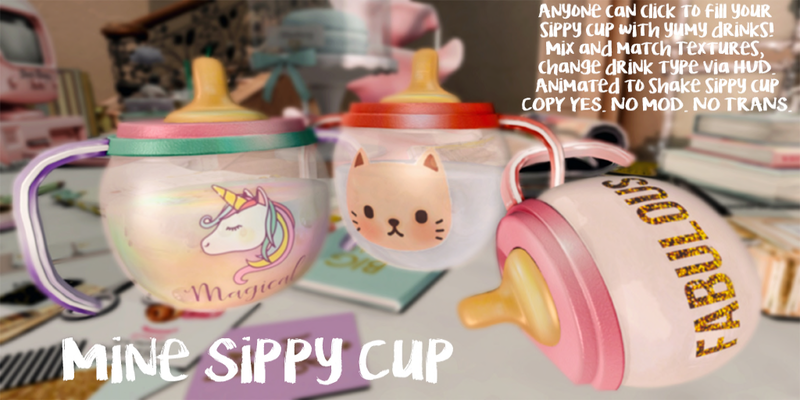 Last, the sippy cup props i am using are from Sugar and Spice @ Once Upon A Child Now open.. happy shopping! ♥.Wishes. ~ Blossom Top ~Pink~ "New"